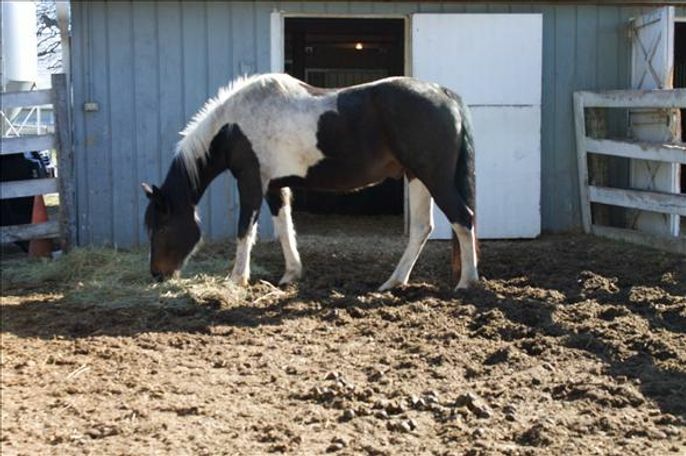 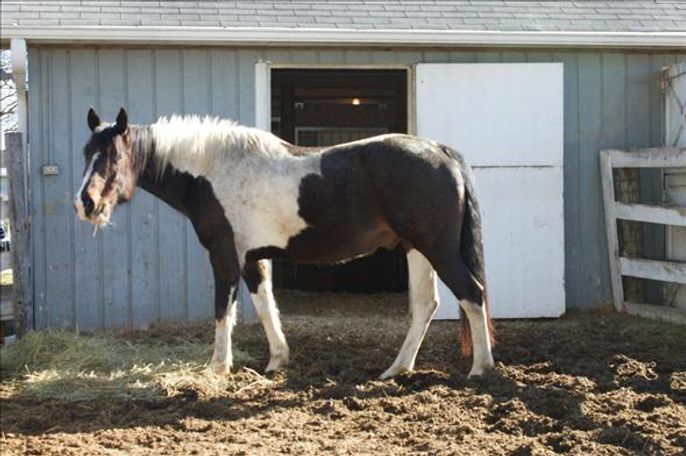 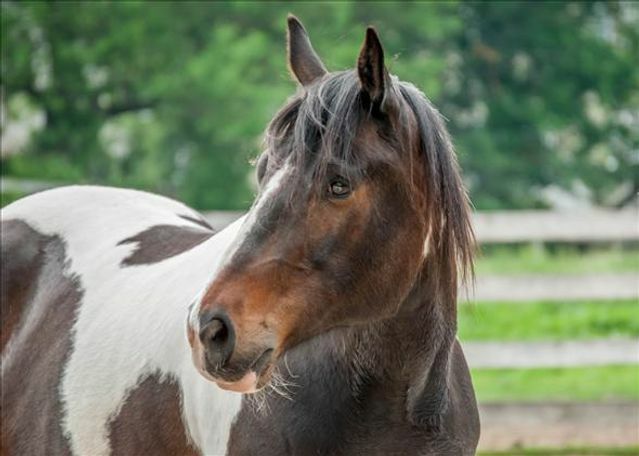 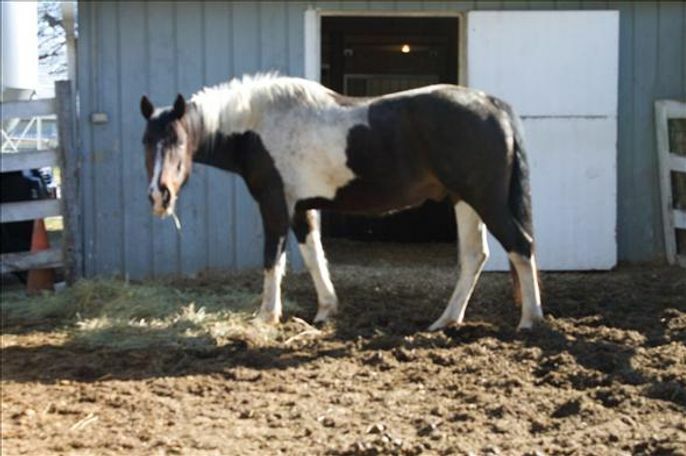 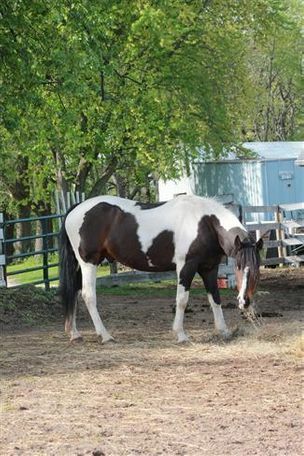 Mosey is a beautiful, 15.3 hand paint gelding that is blind. Despite his blindness, Mosey is a very easy going guy that does fairly well in new places. 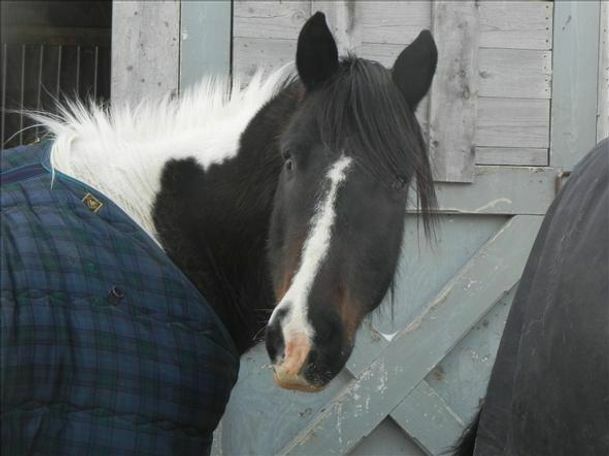 He places a lot of trust in his handler and we believe he has been ridden in the past. 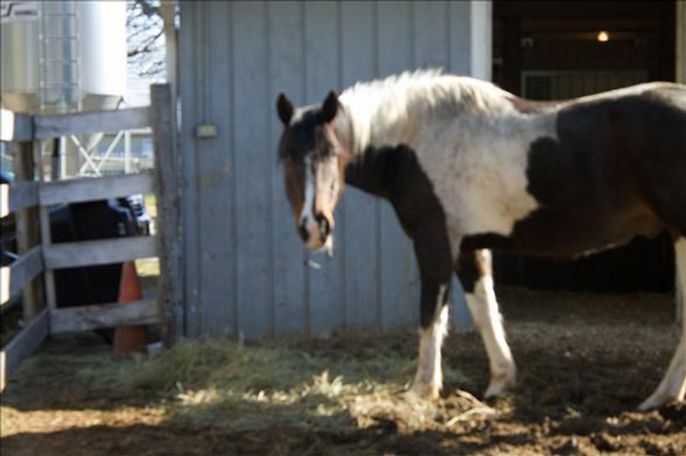 He is great to handle and loves to be groomed by our volunteers. 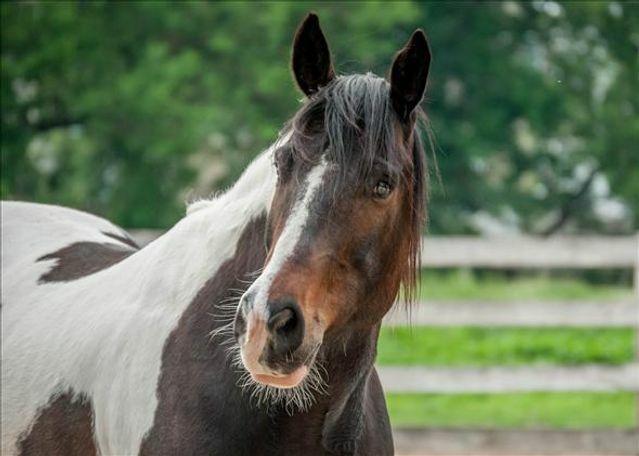 Currently, Mosey is looking for a home as a pampered pasture pal!